Online collaboration is becoming essential for businesses to adhere to. It organizes and structures the planning and development processes, helps you get input from all stakeholders quicker, and helps get work done more efficiently. If we dig deeper, we can see that online collaboration does much more. 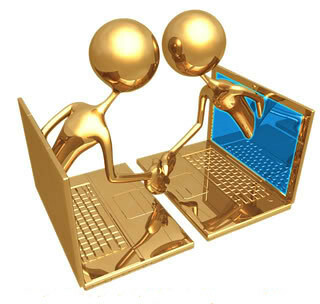 Online collaboration facilitates communication within companies. To get hired, one often needs to have excellent communication skills. Research has shown that managers spend 75 to 80 percent of their time engaged in some form of written or oral communication. Good communication is crucial in business because ineffective communication is expensive. By engaging your whole team through the use of a collaboration tool, your company will become a leader in its industry as some of the most common reasons why collaboration fails will be avoided – the development process will be clear, and viewed from all perspectives; information will be captured, shared, and worked upon; unclear issues and unanswered questions can be elaborated on immediately. All this provides for a smoother development process that will surely satisfy customers and give them a better customer experience. With OneDesk, employees, business partners and customers are always connected and can collaborate through the use of an interactive feedback application and social collaboration tools. OneDesk is designed to make it easy for businesses to collect feedback from everyone, collaborate and engage with those who submit feedback, and take action on the feedback. Try OneDesk for free today and provide a better customer experience. Hi Kim, a pleasure being here. I think it is really time now to dig, as you very well point out, deeper into collaboration strategies; the social media and the web 2.0 are not only a revolution for human interaction and communication, but a new way to see our world, and of course, its business implications make us reflects about enterprise models. As Social Media are now to human, Collaboration is to enterprise and Business. Thanks for dropping by. The social web definitely plays its part in revolutionizing business communication and more companies are transforming in to a “social business.” However, transformation is never easy. Do you have any advice for companies who wish to make a smooth transition into Collaboration 2.0?